1 day advance notice for free cancellation (otherwise charged for 1st night). 2. We accept credit card (surcharge applies -2.5 %) and cash payment upon arrival. 4. No-show fee. In case of No-show the hostel will charge a fee equal to the agreed price of the first night. Central, friendly, clean, value for money and fantastic atmosphere! Winner of Best Hosted Accommodation in Georgia, Envoy Hostel offers 2 hostels in this region (Tbilisi and Yerevan). 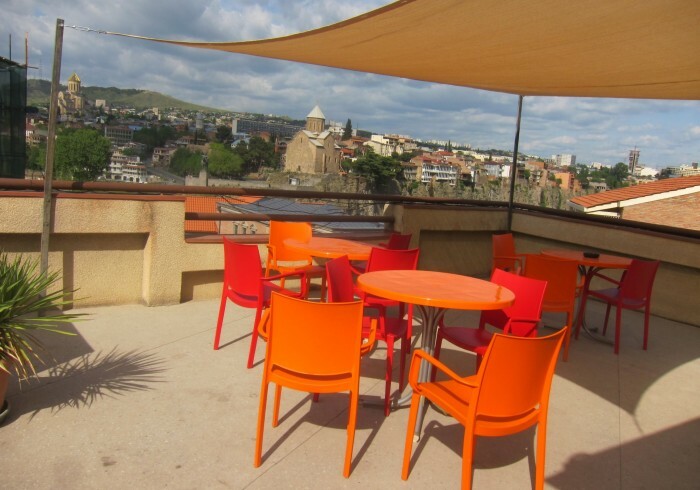 Offering incredible views of the city and situated in the charming old town area of Tbilisi, we are a stroll away from sights as well as restaurants, cafes and bars. Our knowledgeable and friendly staff will be able to help you with any of your travel needs making Envoy the perfect base to explore the region! We even offer tours at special rates for hostel guests .